After having personally reversed the severe symptoms of Rheumatoid Arthritis in my own body, I know that living a life free from inflammation and pain is accessible to everyone and I now have a passion to share this information and help others heal naturally. By focussing on diet, lifestyle and attitude, your body does have the ability to heal. In this podcast I will share my story, stories of others and talk with experts who have influenced my journey. In this episode I talk with the highly intelligent David Gillespie, who's research into the health hazards of sugar and oil is transforming the way we look at food. David is probably best know for his book Sweet Poison, and he also has a back ground in corporate law and is an author, speaker, health crusader and a father of 6. 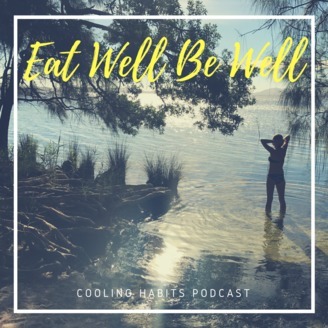 In this episode we focus on toxic oils and learn about why there is so much conflicting information surrounding them. His book is a valuable resource for anyone wanting to cut through the misinformation and to bring clarity to this topic. 12.17 David discusses the fundamentally flawed research and government guidelines. 15.30 Changes in recommendations by health authorities to sugar and oils. 16.35 Which oils are the healthiest to consume. 16.45 Discuss the polyunsaturated oil chart in his book Toxic Oil, Page 66. 19.55 Toxic oils in the food supply in particular bread manufacturing. 21.08 How to eliminate oils from diet. 25.05 How to choose quality oils. 25.12 David discusses mayonnaise, olive oils and the refining process. 26.40 Oil smoke point and deep frying. 28.31 Margarine spreads and olive oil margarine. 30.45 High Oleic ​oils. Monounsaturated, polyunsaturated and saturated oils. 34.56 David discusses his experience with removing sugar, oils and processed foods and meal planning. 36.26 Party foods and treats. 37.00 How to connect with David Gillespie and get a copy of the books. Go to www.davidgillespie.org or Facebook, twitter or Instagram with the handle sweetdavidg Books can be purchased from most book stores or from his website. 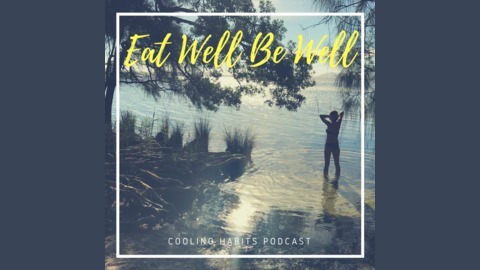 The post EWBW 01 : Uncovering the truth about Toxic Oils with David Gillespie appeared first on Cooling Habits.